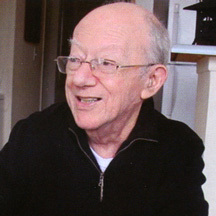 BUD GOLDSTONE worked from 1955 to 1981 as an engineer for North American Aviation. From 1959 to his death in 2012, he volunteered as a conservation engineer for the preservation of Simon Rodia's Watts Towers, a National Historic Landmark in Los Angeles. In 1959, he ran a controlled scientific proof-load test and stress analysis on the Watts Towers that proved them to be stable and prevented the city from demolishing them. He wrote the proposal for a $1,900,000 grant from FEMA to repair earthquake damage to Watts Towers and also a $485,000 grant to repair earthquake damage to the California State Landmark, Bottle Village, in Simi Valley. With his wife, Arloa Paquin Goldstone, he was the author of The Los Angeles Watts Towers, published by the J. Paul Getty Foundation in 1997. You can see a full obituary in The Folk Art Messenger #82.